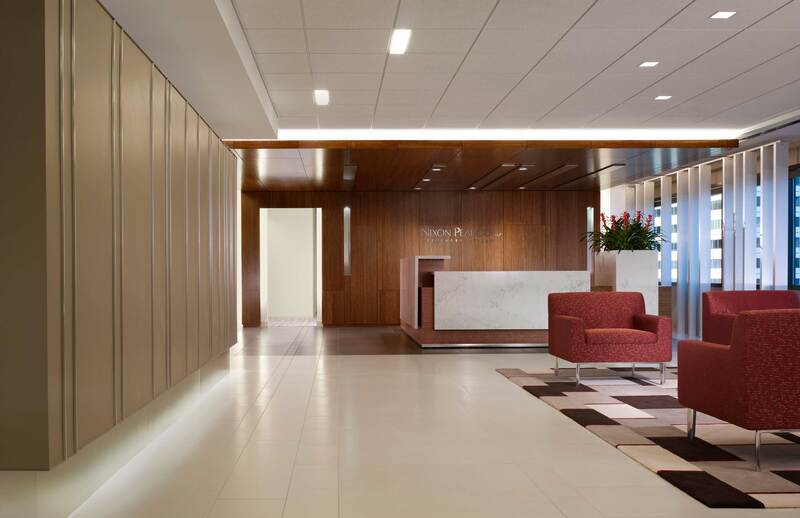 Recognized as a “Global 100” law firm, Nixon Peabody’s Chicago office is a critical hub for the firm. 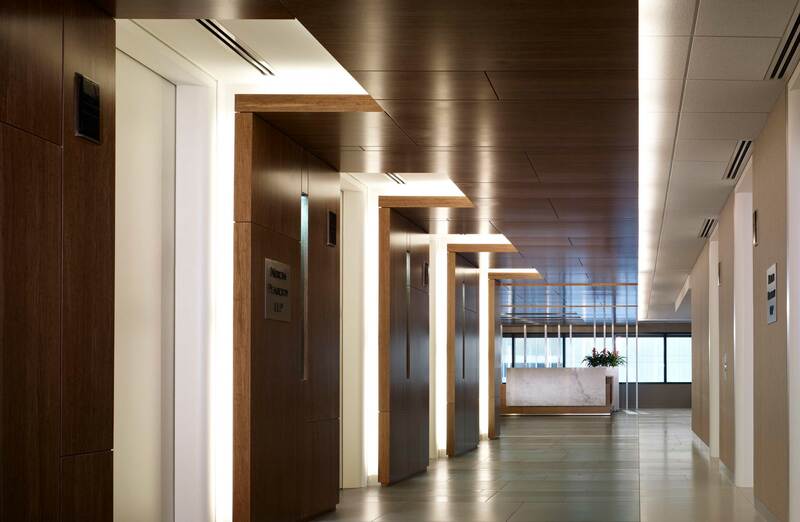 As the firm was looking to expand their practice of 50+ lawyers and staff, they sought new space to represent their progressive nature. To embody this progressiveness, the design was set to reflect the verticality of the Chicago skyline, draw in daylight, and emphasize views of the Chicago River. 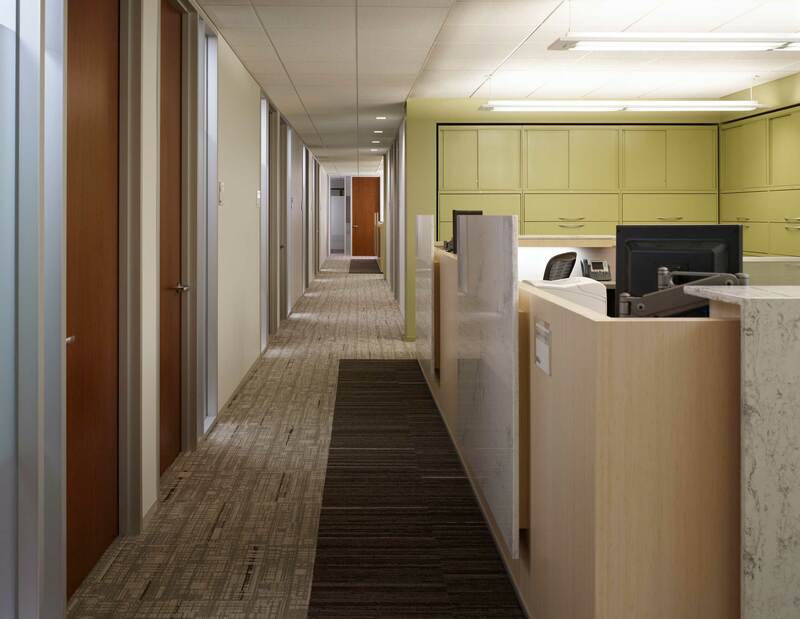 Daylight harvesting lighting controls, the use of bamboo and other FSC wood products, zero-VOC paints, and a high use of recycled content in flooring and fabrics all combine for a LEED Gold certified project. 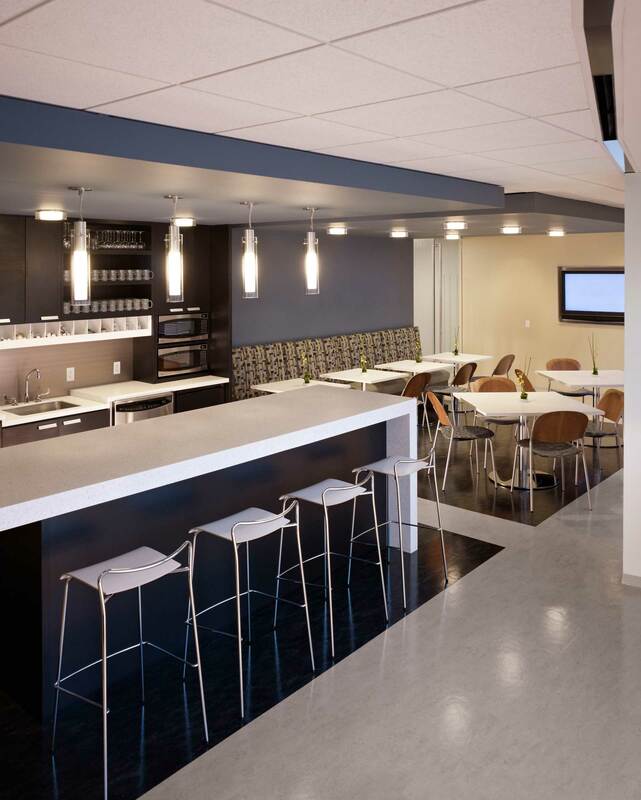 The resulting project was one that truly represented the firm’s values and was at the forefront of what would become a truly modern brand.